Investigators from the Institute of Bioresources and Sustainable Development and Gauhati University conducted surveys at markets throughout the state of Manipur in northeastern India to document wild edible vegetables being used by indigenous communities for nutritive and therapeutic purposes. “…Manipur, one of the seven states of Northeast India that forms an integral part of the Indo-Burma biodiversity hotspot… is rich in both cultural and biological diversity, having populated by diverse ethnic, linguistic and religious groups including many indigenous tribes. 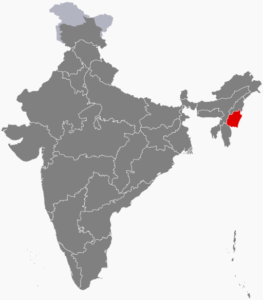 Racially, Manipuri people are unique and have features similar to Southeast Asian. The state has four major ethnic communities – Meitei (Hindu), Naga and Kuki (Tribal communities) and Pangal (Muslim). The Meiteis are the dominant non-tribal community constituting 92% of the valley area along with the Pangal (minority group), and the five hill districts are inhabited by about 34 ethnic tribes representing 30% of the state population. They practice distinct culture and tradition and have different socio-economic features. 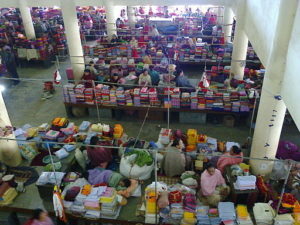 Agriculture is the single largest occupation in Manipur and the mainstay of the state’s economy. The trade of wild vegetables provides an alternative source of income and is mainly done by women. Forests account for 67% of the total land area of this state. The tribal communities collect a large variety of edible and other useful plants from the forest and surrounding wasteland. They also sell a large variety of such plants in the local market. Through interviews with indigenous plant collectors and sellers, the team documented 68 wild edible vegetables used for nutritive and therapeutic purposes, which they then assessed regarding proper exploitation, conservation, and sustainable management. Among the most widely used species were Euryale ferox, Chimonobambusa callosa, Ipomoea aquatica, Oenanthe javanica, Alocasia cucullata, Neptunia oleracea, Houttuynia cordata, Hedychium coronarium, Alpinia nigra, Amomum aromaticum, Eryngium foetidum, Passiflora edulis, Ficus benghalensis, and Zanthoxylum budrunga. Several species were found to be consumed mainly by the tribal communities and rarely known to other communities. These included Z. budrunga, P. edulis, Clerodendrum colebrookianum, Spilanthes paniculata, Cissus javanica, Elatostema lineolatum, Plantago erosa, Litsea cubeba, Zehneria scabra, Cyclanthera pedata, Piper pedicellatum, Solanum nigrum, Eurya acuminate, Solanum betaceum, Allium chinense, Heteropanax sp., Dysoxylum gobara, Diplanzium esculantum, Etlingera linguiformis, Derris wallichii, and Phrynium placentarium. “Many more such unexplored leafy vegetables are believed to exist. There is a need for exploitation of such unexplored resources given the storehouse of traditional knowledge the tribal possessed. It will provide a way for screening newer and alternative source of nutrition. This study – the first integrated assessment of wild leafy vegetables to be done in the region – provides a methodology to help select and preserve high-priority species for new alternative sources of nutrition. Tugume P, Kakudidi EK, Buyinza M, Namaalwa J, Kamatenesi M, Mucunguzi P, Kalema J. Investigators from Makerere University conducted an ethnobotanical study of medicinal plants in 14 villages adjacent to Mabira Central Forest Reserve in Central Uganda, an area about 20 km north of Lake Victoria shoreline immediately to the west of Victoria Nile. “Commercial use of the forest began when some parts were harvested in the early 1900’s and until 1988, intensive coffee/banana agricultural encroachment badly damaged parts of the forest. About 21% and 26% of the reserve have been designated as strict nature reserve and buffer zone respectively and the forest in these areas is recovering following extensive plantings of native tree species. “The human population living in the forest enclaves was approximately 825,000 with a density of 200–230 people per Km-2. The local people are mainly of the Bantu ethnic group of the following tribes; Baganda, Banyarwanda, Basoga, Bagisu, Bakiga, Banyankole, Bagwere and Batoro. 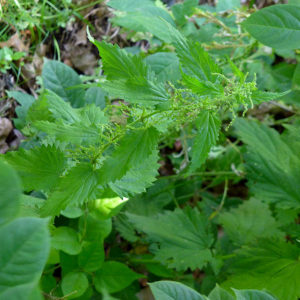 The team documented 190 plant species used in the treatment of various health conditions. 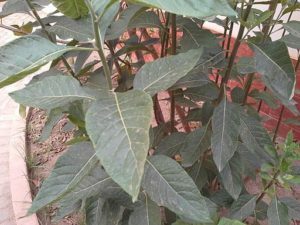 The ten most important medicinal plant species were Vernonia amygdalina, Mormodica feotida, Warbugia ugandensis, Prunus africana, Piptadeniastrum africana, Erythrina abyssinica, Albizia corriaria, Spathodea campanulata, Mondia whitei, and Alstonia boonei. The team recorded and collected 130 plant taxa used for medicinal, food, fodder, household goods, dyes, handicrafts, and religious purposes. 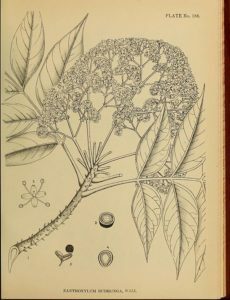 Species used for medicinal purposes included Achillea millefolium, Agrostemma githago, Amaranthus retroflexus, Anchusa azurea, Bellis perennis, Capsella bursa-pastoris, Chelidonium majus, Crataegus monogyna, Dianthus zonatus, Ficus carica, Dracunculus vulgaris, Hypericum perforatum, Melissa officinalis, Mentha longifolia, Morus alba, Origanum vulgare, Papaver dubium, Peganum harmala, Plantago major, Rosa canina, Salix alba, Thymus spp., Tribulus terrestris, and Urtica dioica.